WHY WE GOT MARRIED IN BIG SUR: As a couple we’ve spent every anniversary exploring Big Sur’s unparalleled beauty and rugged wilderness–It’s our ‘happy place’; we knew the first time we camped under the majestic redwoods that there was no other place in the world we would want to get married. We are dreamers and believers, we love to travel, adventure, road trip, camp, explore the great outdoors, drink fine wine and eat amazing food. We’re passionate about music, art, photography, and design and we hoped to combine all these things together to make our wedding day unique. Big Sur was our dream wedding destination location. We love everything about this magical place and we couldn’t wait to share our favorite place in the whole world with our family and friends. THE FUNNEST PART ABOUT PLANNING A DESTINATION WEDDING IN BIG SUR: The funnest part about planning our destination wedding in Big Sur was the VENUE shopping. We went to 12 locations over 2 days and saved the best for last. We drove up the windy dirt road for what seemed like forever, when we crested the bluff there was an expansive view of the ocean–we drove down the path towards the ranch and a white horse ran in the fields alongside us. We parked, looked at one another, giggled, without words, even before getting out of the car, we knew beyond a shadow of a doubt that we had found our wedding venue. It was that magical! THE HARDEST PART ABOUT PLANNING A DESTINATION WEDDING IN BIG SUR: For us, the hardest part about planning a destination wedding in Big Sur is the remote location. Our wedding was on a private ranch, so everything had to be brought in: catering, an outdoor kitchen, furniture, decor, bathrooms, lighting, generators, tables, chairs, and flowers. Every vendor charges travel, delivery, and set-up fee which adds up really quickly–while our venue was a ‘blank canvas’ which allowed us to execute our every wedding dream/vision/ideas it was a LOT of WORK and was not for the faint of heart!! The other critical factor about planning your wedding in Big Sur is lodging—Lodging is also super limited and rooms and cabins book up fast–we encouraged our guests to reserve their room one year prior to the event! LODGING IDEAS: Lodging in Big Sur can be somewhat trying–but there are several lodging options from tent camping to glamping, to rustic cabins to fancy shmancy glamorous luxury hotels–Big Sur lodging is either super rustic or really luxurious and there’s not much in between! Make sure that your guests are prepared to ‘have an adventure’ and remind them that they will be ‘getting back to nature’ as there is limited wifi and almost zero cell service in the area!! Our favorite places to stay: Glen Oaks Motor Lodge upscale cabins in the redwoods, Ripplewood Resort–super rustic cabins without the fluff–listen to the river at night (Anthony + Kendal stay here every time we photograph weddings in the area), Fernwood Resort–you can camp, glamp, stay in yurts or cabins–there is a little of everything here for your guests, Riverside Campground + Cabins–campgrounds + cabins ask for Pam when calling to book your cabins–she’s the BEST and will give you the shakedown on all of the best cabins, Big Sur Campground –camp, cabins, yurts, and super cool tent cabins, Big Sur Lodge they have cabins and a restaurant located in the Big Sur State Park, Big Sur River Inn, motel and river rooms, cute/rustic restaurant on site, Ventana Inn + Spa Luxury hotel with both mountain and ocean view rooms, this property is super private and upscale with an amazing restaurant on site, and last but certainly not least, Post Ranch Cream of the crop Ocean front villas, spa, restaurant and stunning grounds–if you can’t afford to stay here, make reservations for a pre-fix 4 course dinner or head to bar and grab a glass of wine and watch the sunset–MOST AMAZING VIEWWWW EVER! TIPS FOR THOSE PLANNING A DESTINATION WEDDING: Hire an amazing wedding planner who is local to the area. Mariah Green Events of Big Sur is the absolute best!! Planning a wedding is a full-time job, and unless you have the luxury of spending hours upon hours researching photographers, caterers, venues, decor, florists, rentals, lounge furniture, lighting, flatware, cake designers, Dj’s, live bands, transportation and officiants then you need a wedding planner! Weddings are so stressful and you honestly can’t do it alone! For our wedding, we had 3 nights of events in Big Sur; our Rehearsal Dinner was at the Big Sur Bakery, our Welcome Party was at Ventana Inn & Spa, and our wedding was at a Private Ranch–there is absolutely no way we could have pulled off all these events without our wedding planner and coordinators. Local wedding planners are the experts–they have the connections, the relationships, and the time to pull vendor pricing and gather information for you. Wedding planners help take the guesswork out of the planning process and truly help to execute your vision! They will bring your wedding vision to LIFE while making sure that all of your wedding details are in the perfect place, so your wedding weekend goes off without a hitch!! VISIT BIG SUR BEFORE YOUR I-DO’S: We seriously can’t recommend this enough–Take at least one planning trip to Big Sur before your Big Day (ideally two or three or more). On the first trip, you’ll need to scout and secure your key venues — ceremony and reception spaces, lodging for guests, a rehearsal dinner venue and or post-wedding brunch. On your second trip, you’ll need to schedule “tastings” with your caterer, see sample bouquets from your florist, plan a hair and makeup session, and map out activities or experiences for your guests. LOOKING FOR THE PERFECT FLORIST IN BIG SUR? If you’re hoping to find the most talented, amazing, wonderful florist who created the stunning bouquets in most of these photos–Look no further, Kate Healey of Big Sur Flowers is the absolute best—her floral arrangements are simple, elegant, whimsical and wild! She lives in Big Sur and grows all of her flowers directly on her property–from seed to bouquet her flowers are made with love and are both exclusive and unique! Not only does she create bouquets, flower crowns, and every floral arrangement of your dreams—Kate has everything you need from the decor, to candles, to vintage glass to bistro lighting!! She will take your vision to the next level; everything she touches turns to pure magic and hiring her for your wedding or elopement is a MUST!!! Check out her website HERE!!!!! LOOKING FOR A ONE STOP SHOP? SEA STARS CATERING & EVENTS is a CATERER/FLORIST/PLANNER/RENTALS ALL IN ONE! Simple, inspired, natural, intimate–Jamie of Seastars believes your wedding should mirror your personality and be focused on the joining of two families. Her team is a perfectly curated collective “one-stop-wedding-shop” they offer catering, planning, decor, rentals, and florals! 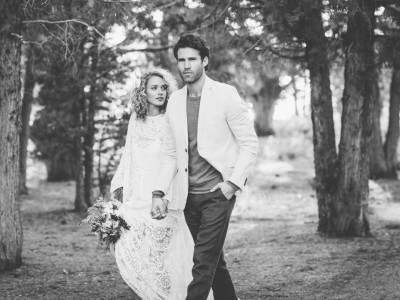 Jamie also knows a ton of secret wedding spots from Big Sur to Pescadero–contact her HERE! LOOKING FOR FLORIST/CALLIGRAPHER/ARTIST ALL IN ONE? Look no further–Blain of SERVICES-ORIGINAL is a true artist; she paints, builds frames, creates stunning bouquets can do all of your hand lettering and calligraphy–she lives in Big Sur and has such an effervescent personality!! She is fun, stylish and will bring your wedding floral vision to life! SIGHTSEEING, HIKES, AND ACTIVITIES FOR YOUR GUESTS IN BIG SUR: Seeing as there is super limited wifi in Big Sur, having printed maps, itineraries, and activities is a must!! Here are some of our FAVORITE things to do in Big Sur!! MUST SEE: McWAY FALLS A required stop along the Big Sur coastal trip this park offers great ocean views with an incredible waterfall which lands right on the beach. PFEIFFER BEACH purple sand, unique rock formations, crystalline water, peaceful atmosphere. Worth the effort to drive down the narrow winding road to spend a few hours gazing at the Pacific Ocean–make sure to bring $10 in cash for parking! BIXBY BRIDGE Tremendous feat of engineering and the views are to die for. Decent amount of parking on the north side. Worth a stop, albeit a fairly brief one! BEST HIKES: From Andrew Molera’s 8-mile coastal loop (our personal favorite) to Salmon Creek’s waterfalls in the redwoods and everything in between–click HERE to see all of the available hikes and to download maps!! HORSEBACK RIDING ON THE BEACH: We did this 4 hour horseback tour during one of our first trips to Big Sur and we still talk about how beautiful and amazing it was; trek through forests and open meadows until you find yourself on the beach it’s pretty incredible!! Check out MOLERA HORSEBACK TOURS and experience it for yourself! YOGA AND MASSAGES: Soak in natural hot springs and listen to the waves crash while getting the BEST, most AMAZING massage of your life at the ESALEN INSTITUTE–make sure to book your appointment far in advance!! They also have night time open spa hours for stargazing from Midnight-2am!! ELEPHANT SEALS: One of the best stops on your trip up or down Highway 1 is the Piedra Blancas Elephant Seal Rookery. Take a day trip and hang out with these awesome elephant seals located in San Simeon–they are so fun/cute/funny! OUR FINAL THOUGHTS ABOUT PLANNING YOUR DREAM WEDDING OR ELOPEMENT IN BIG SUR: If you have the desire, the time, and the passion to put together your dream wedding, DO IT! Don’t hold back on the ideas, the details or the decor that are an important part of your wedding vision! The wedding planning process is all-consuming, more expensive than you ever imagined, and your wedding day is here and gone in a flash, but if you’re true to yourself and your love, your wedding day will be everything you dreamed it would be, AND MORE! ** UPDATE: We first wrote this blog post in March of 2018–we love Big Sur so much that we decided to pack up our lives and MOVE to Big Sur just a few months later!! READ ALL ABOUT OUR MOVE! Want to view photos from OUR BIG SUR WEDDING? Click HERE!